Cross (shoulder) accepted a position last week as an assistant coach for the University of Memphis football team, Jonah Jordan of The Daily Memphian reports. Cross (shoulder) was placed on injured reserve Tuesday, Scott Smith of Buccaneers.com reports. Analysis: The shoulder injury that forced Cross to the sideline during Sunday's loss to the Ravens is severe enough to send the tight end to the injured reserve list as well. Cross' 2018 campaign comes to an end with two catches for nine yards on five targets in 14 games. Cross won't return to Sunday's game against the Ravens after sustaining a shoulder injury, Scott Smith of the Buccaneers' official site reports. Analysis: Cross was originally questionable to return before being downgraded. Anthony Auclair is the only other active tight end for the Buccaneers behind starter Cameron Brate. Cross brought in his only target for three yards in the Buccaneers' 24-17 win over the Panthers on Sunday. Analysis: As expected, Cross was essentially an afterthought in the Buccaneers' air attack. The versatile second-year pro is likely to enjoy active status for the remaining four games of the campaign, due to Tampa being short-handed at tight end with the season-ending ankle and foot injuries to O.J. Howard. However, Cross is slated to serve almost exclusively as a blocker, freeing Cameron Brate to fill the role of the pass-catching option at the position. 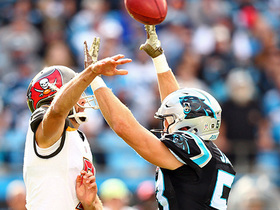 Cross couldn't come up with his one target in the Buccaneers' 42-28 loss to the Panthers on Sunday. Analysis: The second-year H-back only logged four snaps from scrimmage, and he continues to be an afterthought in the Buccaneers offense. With three players -- O.J. Howard, Cameron Brate and Anthony Auclair -- effectively in front of him on the tight depth chart, Cross currently possesses next to no fantasy value and remains primarily valued for his special teams work. Cross brought in one of two targets for six yards in the Buccaneers' 26-23 overtime win over the Browns on Sunday. Analysis: The third-year pro was one of four tight ends to log snaps from scrimmage for the Bucs on Sunday. Cross' role figures to continue heavily centered on run blocking and special teams unless injuries befall players in front of him on the depth chart. Head coach Dirk Koetter relayed Friday "I'd say he's (Cross) not on the bubble" in terms of a roster spot, Scott Smith of the Buccaneers' official sitereports. Analysis: Cross appears to have distanced himself from the other potential candidates to fill a depth role for the Bucs at tight end this season, working behind the duo of Cameron Brate and O.J. Howard. It's unlikely he will see the field a lot during 2018 barring injuries, but Koetter raved about Cross and his knowledge of all the tight end positions. Cross (groin) was seen practicing at the start of training camp, Chris Urso of the Tampa Bay Times reports. Analysis: Cross underwent sports hernia surgery in January after playing through the injury all season. His participation since the start of training camp would suggest that the tight end is fully recovered, and he should be ready to go for the start of preseason. Cross underwent sports hernia surgery in Philadelphia on Thursday, Ian Rapoport of the NFL Network reports. Analysis: Cross played through the injury all year and is expected to recover in time for offseason workouts this spring. Cross hauled in his sole target for 11 yards in Sunday's 31-24 win over the Saints. Cross brought in one of two targets for 23 yards in Monday night's 24-21 loss to the Falcons. Analysis: The second-year fullback/tight end hybrid managed just his fourth reception of the season, but he could be primed for an uptick in opportunity over the final two games of the regular season. Fellow tight end O.J. 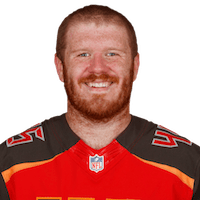 Howard (ankle) is likely to be placed on injured reserve as per Rick Stroud of the Tampa Bay Times, which would leave Cross and Antony Auclair to split backup reps behind starter Cameron Brate. Cross brought in his only target for 13 yards in Sunday's 26-20 overtime loss to the Packers. Analysis: Just promoted from the practice squad last Tuesday, Cross saw action on 14 snaps from scrimmage, along with another 20 on special teams. The reserve tight end projects to be used sparingly behind the likes of Cameron Brate and O.J. Howard, with his primary value likely to be derived from his run-blocking and special teams work. 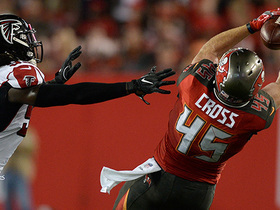 Cross was promoted to the Buccaneers' active roster Tuesday, Adam Caplan of ESPN.com reports. Analysis: Cross signed with the Buccaneers' practice squad at the beginning of October after spending time on the active roster earlier in the season. In three games with the Buccaneers, Cross has recorded two receptions for 11 yards, playing mostly on special teams during the stint. Look for a similar workload this time around. Carolina Panthers linebackers David Mayo and Ben Jacobs break up Tampa Bay Buccaneers punter Bryan Anger's fake punt attempt. 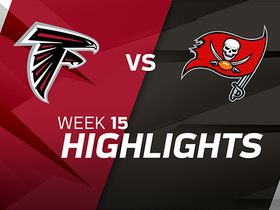 The Atlanta Falcons take on the Tampa Bay Buccaneers in Week 15 of NFL action. Bucaneers quarterback Jameis Winston connects with tight end Alan Cross for a 23-yard gain. Tampa Bay Buccaneers quarterback Jameis Winston throws a short pass to tight end Alan Cross for a 3-yard touchdown.